Over the past several decades, the sport of soccer has overtaken the nation. More children participate in soccer games than in Pop Warner football, Little League baseball, softball, baton twirling and track events. The fan base keeps growing and growing at an incredible rate hence; the people attending soccer games has increased drastically. 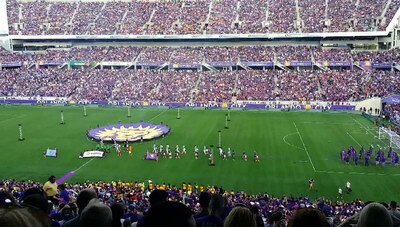 The popularity of the Orlando City Soccer Club has experienced the same upturn in interest as the rest of the country. The only downside to the increased popularity is the amount of traffic on the roads when the time for a game is quickly approaching. Traffic congestion leads to people arriving well after the game has begun, and that puts a damper on the day as a whole. Enlisting the services of a company for Orlando City SC sporting events transportation will help to prevent you from arriving at the game late. Luxury Transportation Group USA offers complete sporting events car services in Orlando and the surrounding areas. Indeed, the traffic going to and from the soccer venue can be brutal however; it is nothing compared to finding a decent parking space in the lot. If you don’t mind walking long distances to get to the game then you are in good shape, but most people want to get there, relax and enjoy the event. Without hiring Orlando City SC sporting events transportation, you should be prepared with a sturdy pair of walking shoes. It’s so much easier to hire sporting events transportation services. LTG Orlando provides the finest, high-end vehicles for sporting events car services in Orlando. Most people enjoy having a beer or three while they are watching an Orlando City Soccer Club game. Kicking back, enjoying the game, and hanging out with friends is a good thing. The only time that’s a problem is when somebody thinks it’s alright to get behind the wheel of a car and drive. Not only could that be dangerous for everyone on the road, but it could possibly result in jail time, fines, and a loss of license as well. The responsible thing to do is plan ahead by reserving sporting events car services in Orlando. Luxury Transportation Group USA is the premiere provider of Orlando City transportation for sporting events in the area. 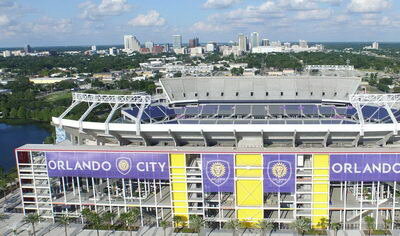 LTG Orlando is a full-service Orlando City SC sporting events transportation company. Offering a high-end fleet of vehicles, they will surely get you to and from the game in style and on time. Call 407-476-0429 to learn more about luxury sporting event car services in Orlando.